Realta Entertainment Group announced today that it is working with RAD Game Tools to incorporate Bink 2, the defacto video codec for games, in the development of the upcoming music video game BandFuse: Rock Legends. RAD Game Tools’ Bink 2 toolset provides developers with deblocking algorithms that create great looking videos with super low data rates without requiring special system software. Bink 2 video is up to 10 times faster than other modern codecs, while using as little memory as possible. In some cases, it uses anywhere from 16 MB to 120 MB less than other codecs. Bink 2 runs on every game platform and is customized to take advantage of each one. 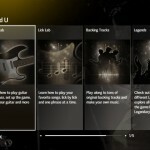 BandFuse: Rock Legends empowers players to use real guitars, basses and vocals to jam to a fully unlocked library of hit songs from rock to metal and punk to funk, featuring 55 massive genre-jumping songs from Slash, Maroon 5, Rush, The Strokes, Heart, Pearl Jam and more. 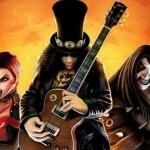 BandFuse: Rock Legends is rated “T” for Teen by the ESRB and will launch in North America on November 19, 2013, on PlayStation 3 computer entertainment system.